When you’re on vacation, getting dessert is always a good decision! Hilton Head Island is home to a wonderful collection of cafes, creameries, and bakeries that are sure to satisfy your sweet tooth. To help you make the most of your next getaway, we have put together a guide to five places that serve the best dessert in Hilton Head. Promising “coffees, confections, and cocktails,” The Purple Cow is a one-of-a-kind eatery! Guests will find a variety of tasty treats to choose from, including homemade individual cheesecakes, creme brulee, salted caramel apple pie, muffins, milkshakes, smoothies, sundaes, and so much more. We highly recommend The Purple Cow’s create-your-own donuts, which are custom made with your choice of donut flavor, glaze, and toppings. In case you were wondering, the restaurant takes its name from a Doris Day song called “A Purple Cow,” which was a favorite tune of the owner’s mother. Hilton Head Ice Cream has been an institution on the island since 1982! This beloved creamery offers a great selection of unique ice cream flavors, such as Brownie Cheesecake, Cookie Monster, Praline, and Butterfinger. If you have a favorite seasonal flavor that you simply must have during your vacation, you can call Hilton Head Ice Cream 48 hours in advance, and they’ll make it especially for you! In addition to their fantastic ice cream, HHIC also bakes irresistible chocolate chip cookies. Sweet Carolina Cupcakes is another can’t-miss destination that boasts some of the very best dessert in Hilton Head. Guests at Sweet Carolina will find a mouthwatering collection of gourmet cupcakes, with different flavors offered each day of the week. Some of the most popular varieties include Chocoholic, Snickerdoodle, and Hot Fudge Sundae. All of the cupcakes at Sweet Carolina are made from scratch using locally-sourced ingredients. A snow cone is the perfect treat for a hot summer’s day, and Sno Cones by Chris is the perfect place to pick one up! Open from mid-May through mid-October, this popular shop serves all of your favorite snow cone varieties, including Blue Raspberry, Pink Lemonade, and Rockin’ Root Beer. When you visit Sno Cones by Chris, be sure to check out the shop’s unique Lego art, which includes a model of the Titanic. Located in Shelter Cove Marina, Hilton Head Social Bakery is an authentic French bakery run by a pastry chef from Normandy. 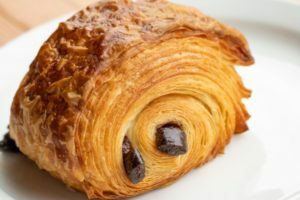 Some of the most-buzzed-about items at the bakery include the almond chocolate croissants, eclairs, chocolate truffles, mousse, and mango turnover. Hilton Head Social Bakery also has a great lunch menu, so you can have something savory before you have something sweet. When you stay with Hilton Head Properties Realty & Rentals, you will be minutes away from the best dessert in Hilton Head. Our vacation rentals come with your choice of amazing amenities, including fully furnished kitchens, outdoor grills, flat screen TVs, internet access, and private swimming pools. With everything from 1 bedroom properties to 7 bedroom properties, we are guaranteed to have the ideal accommodations for your trip. To start planning your escape, browse our selection of Hilton Head vacation rentals!